Posted June 27, 2016 by Guest Writer & filed under Events. Now in its record-breaking ninth year, Thriller Live arrives in Brighton direct from London. The West End hit has played over 3000 shows around the world to three million fans in over 30 counties – and if tonight’s performance at Brighton’s Theatre Royal is anything to go by, the crowd-pleasing celebration of the King of Pop’s 45-year career shows no sign of stopping anytime soon. The production wisely rotates through several immensely talented singers rather than mounting the pressure of ‘being’ Michael Jackson for the night on just one lead, with Angelica Allen, Shaquille Hemmans and Rory Taylor absolutely nailing their performances. Also thoroughly deserving of praise are the show’s incredible team of dancers, who somehow maintained a dazzling amount of energy throughout the brilliantly choreographed routines, particularly Peter Cleverley, Jacinta Seivers and Chad Wilder. 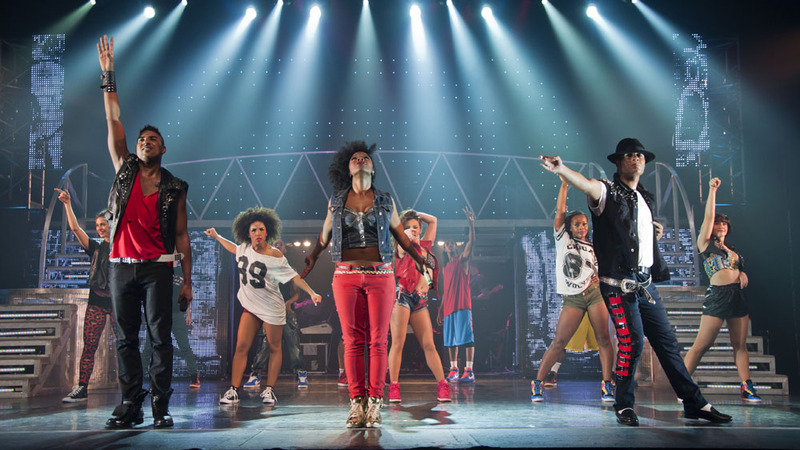 With no story to link the songs – Thriller Live styles itself as a musical tribute rather than a traditional musical, so there’s thankfully no laboured Mamma Mia-style plot strung together – there’s space to pack a mammoth number of hits in to the 150-minute running time. It’s a startling reminder of quite how impressive and lengthy Jackson’s back catalogue is. Highlights included ‘Thriller’ (of course), ‘Can You Feel It’, ‘Beat It’, ‘Bad’ and a spine-tingling rendition of ‘Earth Song’. Even the (many) pensioners in the audience were up on their feet for the rousing reprise of ‘Smooth Criminal’ that ended the night! Playing at Theatre Royal Brighton from Tuesday 14 to Saturday 18 June 2016. > Buy tickets now on atgtickets.com/brighton or call 0844 871 7650.